This week at 'Tis The Season we have a beautiful inspiration photo! Don't you just love the white with just a touch of teal? As soon as I saw this photo I knew I wanted to use the set Evergreen. I love trees, and I especially love Christmas trees. 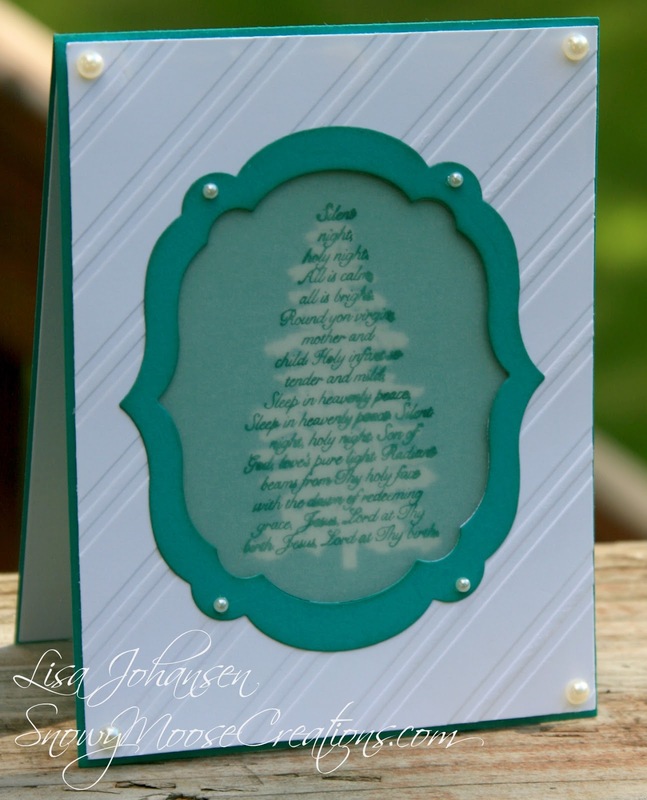 I made my card base Bermuda Bay and embossed one of the trees in white in the middle of the base. I then took a panel of Whisper White, embossed it with the Stripes EF and cut out a window using the Window Labels Framelits. I created a frame around the window by using 2 of the dies next to each other in size. Next I grabbed a piece of vellum and stamped the lyrics tree in Lost Lagoon. I had originally used Bermuda Bay but the darker ink looked much better against the embossed image underneath. These lyrics forming the tree speak for themselves so I didn't want to fill the card with accessories that would take away from that, therefore I just added some Basic Pearls to finish off the card. 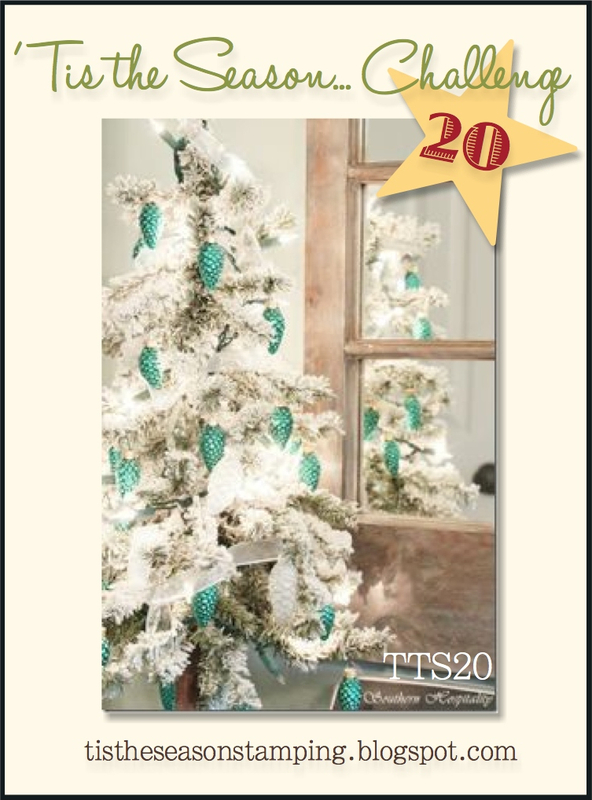 We hope you'll come by 'Tis The Season and join in our Christmas fun!